The rules of ringboard necessitate quick mental arithmetic and hand to eye co-ordination, while promoting safe fun. 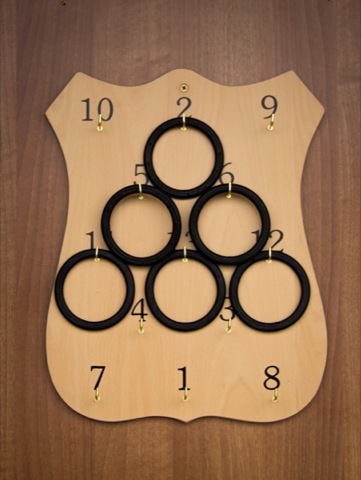 It was recommended recently in the UK that schools introduce dartboards to help pupils with mental arithmetic skills, but a far better game for this purpose is the traditional Irish game of Rings. Players must stand a certain distance from the board when throwing rings, and the ringboard itself must hang at a certain height. World Ringboard Academy rules call for a distance of 259cm and a height of 178cm to the base of the 13 hook. However, we feel that for children up to the age of 9 an approximate distance of 160cm and height of 140cm are more suitable. F0r adults and children over 9 a distance of 180cm and a height of 160cm should provide a good challenge. 1. Beginner game 1 (50 Plus) – The player that reaches or exceeds a pre-agreed number (e.g.50) wins. 2.Beginner Game 2 (High Score)The highest score after each player has thrown 3 sets of rings wins. 3. Thirty-one – The first player to reach a score of 31 using as few rings as possible, e.g. if a player hooks a 10 then a 9 he must add these together to get his total score so far (19) and subtract this from 31 to find which number he must hook to win (12). If he hangs no.5 he must subtract this from 12 and now he knows he must hang no.7 to win, thereby getting the player quickly using mental arithmetic. This could eventually lead to competing in the All Ireland Ringboard Championships, which are held annually or the World Ringboard Championships, usually held in the autumn. 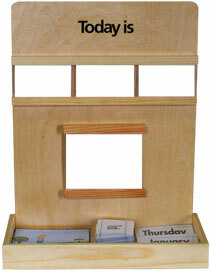 Board comes with 13 Hooks and 6 Rings and instructions.